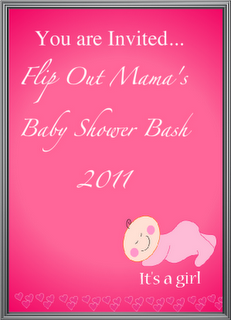 Flip Out Mama: Baby Shower Bash Day 5: Exederm! Today's Baby Shower Bash Sponsor is Exederm! Exederm is a company that specializes in products for children with sensitive skin, eczema, and dermatitis.Their philosophy is pretty simple: always use the mildest ingredients available to prevent irritating sensitive skin. Even if your little one doesn't have eczema, everyone knows that babies have the most sensitive skin of all. That's why Exederm's products are perfect! They contain no fragrance, no colors, no dyes, no irritants at all! They have an entire line of baby products perfect for all your little one's needs! 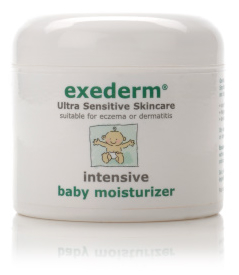 This is Exederm's Intensive Baby Moisturizer. It is great for deeply moisturizing dry, delicate skin and soothes red, cracked, and itchy skin. It is light and non greasy, and perfect for children of all ages. And of course, it has an ultra sensitive, non irritating formula. This is their Hydrating Baby Lotion. It is perfect for moisturizing dry, itchy baby skin. It is different than other baby lotions because it contains no perfumes or fragrances. I know that with The Bean, any time I tried to use "fancy" baby lotions on him, he would break out in a rash. He really needed a plain, moisturizing lotion, and Exederm's would have been perfect! This is Exederm's Soothing Baby Oil. It is perfect for babies with extremely dry or cracked skin. I always thought baby oil was good for babies whose skin was too dry for lotion to help. I think Exederm's baby oil would be perfect! 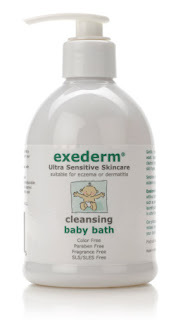 My favorite Exederm product is probably the Cleansing Baby Bath. This baby bath would be good especially for baby girls, who are irritated by regular baby bath washes. This is Exederm's non irritating baby shampoo. I think this would be perfect for the Bean. Sometimes when I was his hair with baby shampoo, he gets a dry and flaky scalp. I think this is exactly what he needs! 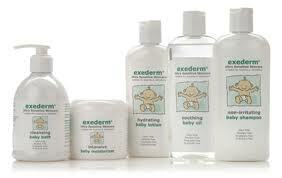 As you can see, Exederm has a ton of products for whatever needs your little one has! They also have an entire line of products for grown ups too, so make sure to check those out as well! If you would like to learn more about Eczema, or other skin conditions, as well as more information about skin irritants, Exederm has a great website with tons of valuable info! A BIG thank you to Exederm for providing us with a great gift pack for Crystal's Baby Shower Bash!